The artists from OCUBO have chosen to explore the fantasy world of Guignol - Lyon’s very own “Punch” - with a little help from secondary school pupils from college Jean Moulin. 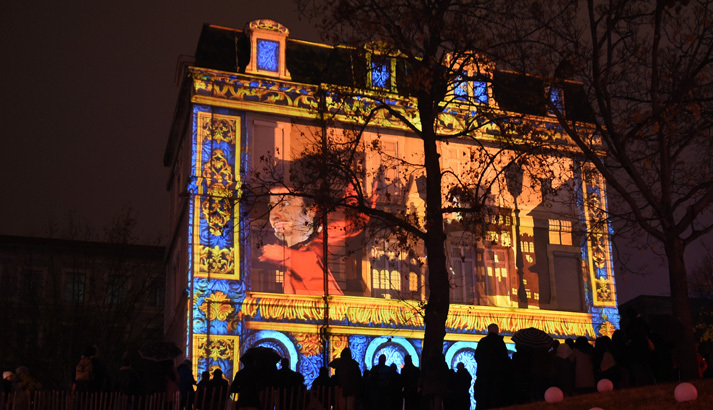 Illuminated for the first time this year, the facade of the school located in the district where the famous puppet was first brought to life, has been converted into a giant puppet theatre. 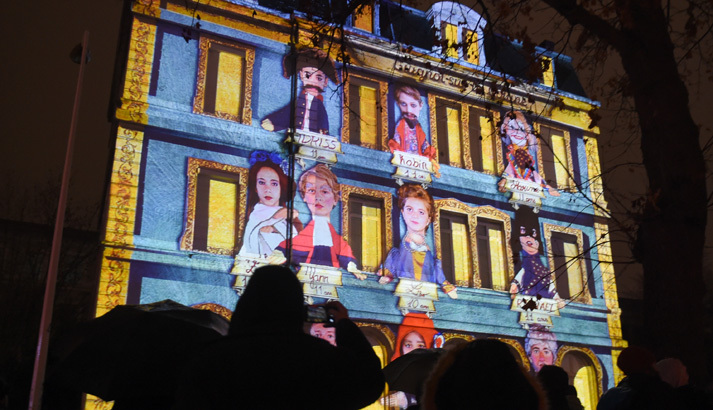 The theatre’s decor is based on drawings made by local children and is giving the pupils a chance to show off their acting talent alongside Guignol’s wife Madelon and his sidekick Gnafron. 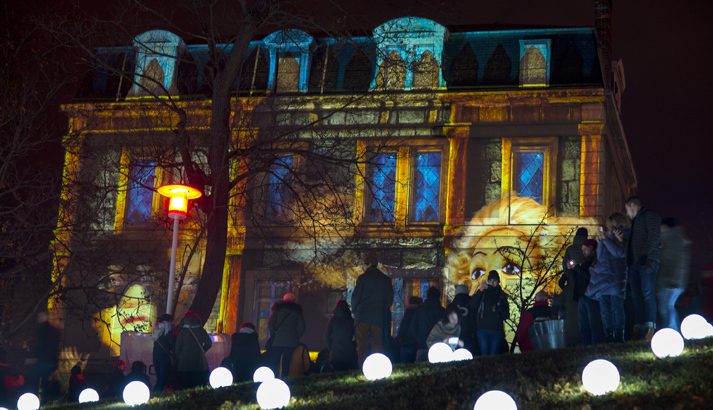 This exceptional collaboration is a colourful new take on Lyon’s traditional puppetry.